Celebration of the 40th OJ Reunion of the Class of 1977. I am continuously overwhelmed by the amazing affinity that exists within the St John’s community, particularly Old Johannians. This, despite years of “self-imposed separation,” occasioned by the pressures of assuming professional and family responsibilities. And then, after a significant passage of time, the Tower clock which so instinctively binds all of us who have grown up in its surrounds, begins to chime on a new decade. It’s 40 years since those final school days which heralded the dawn of an exciting future. The ups and downs of awaiting Matric results, University acceptance and Miltary call-ups. Yet, unbeknownst to us, it signalled the quiet surrender of the carefree lifestyle of a privileged education, which had forged many unbreakable, life-long bonds between fellow Johannians. Watching “strangers” staring intently at faces they last saw 40 years ago – desperately trying to recall the boyish features to which they could place a name, then suddenly explode into an ecstasy of recognition, joy and vigorous bear hugs is always a heart-warming sight to behold. It’s why Reunions are so important. The 40th Reunion of the Class of 1977 was no different. From a well-supported “Meet and Greet” at the Johannian Club on Friday evening 27 Oct 2017, to a sterling gathering of 22 people on an uncharacteristically chilly Saturday morning, the stage was set. 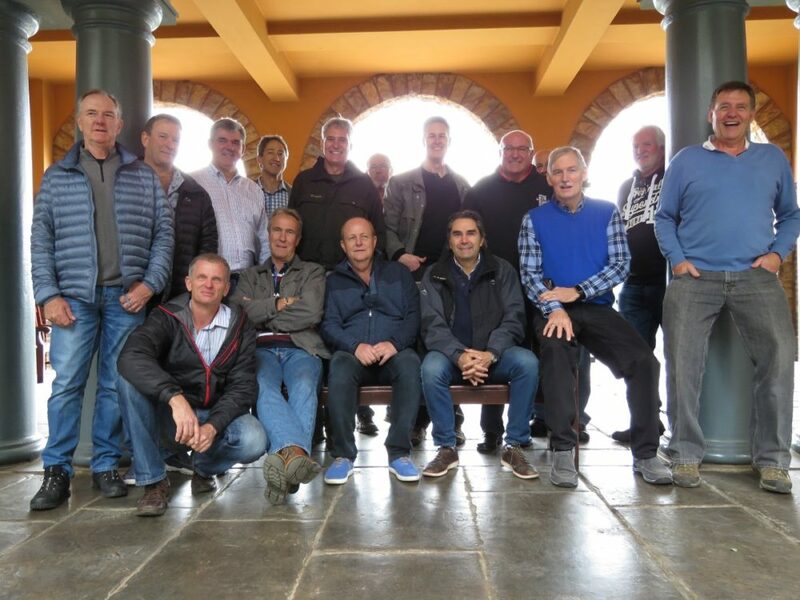 A brilliant tour of the St John’s Campus, led by Clarke Housemaster Daniel Pretorius, combined fascination at Mr Pretorius’s great passion for our school history with an invaluable opportunity to catch-up with old friends, on gaps in the passing of time. 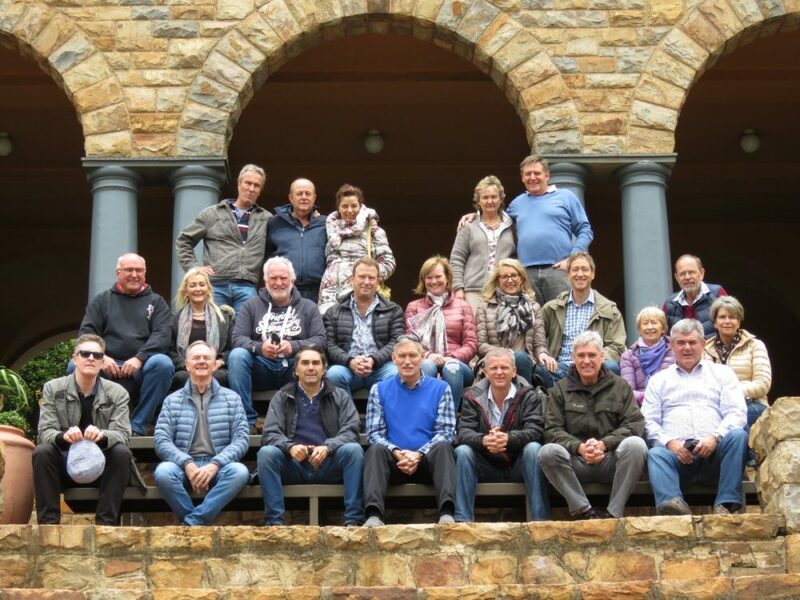 The culmination of the celebrations was the dinner at the Grill House Rosebank, attended by 35 people – 21 OJs and their wonderfully supportive wives! A memorable vibe and much rekindling of “kindred-spirits”! My thanks to Louise Leal for her willing, treasurer role at the dinner. 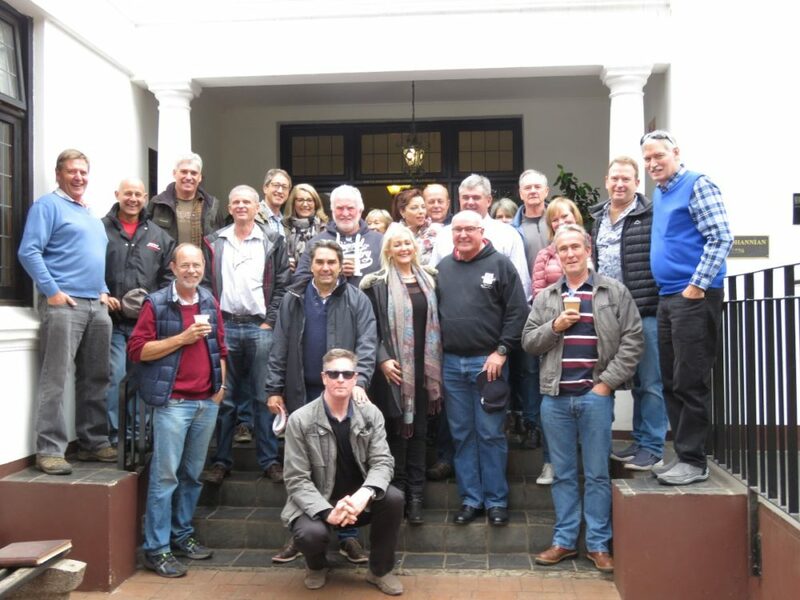 My sincere thanks to every single one – OJs and their wives – who made the effort to attend the 40th OJ Reunion, from Colorado USA, London UK, Cape Town, Durban and Tzaneen, to the sprawling suburbs of Jo’burg. Good job lads – sterling stuff! It’s the attendees that make any Reunion a success. Congratulations to the Class of ’77 – it was a spirited triumph!